Isle were pleased to host nine technologies that have been vetted through TAG in our innovation pavilion at WEFTEC. They include Blucher, RedEye, Valor Water, BBR Filtration, Sedaru, HydroMax, Keg Technologies, Tecta PDS, and Lutra. US TAG Member Columbus Water Works was awarded with the prestigious title of ‘Utility of the Future Today 2017’, for excellence in Community Partnership & Engagement. Congratulations, CWW! 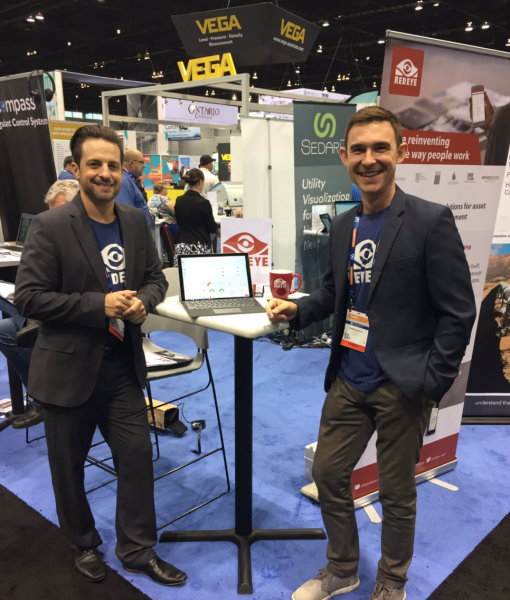 TAG Technology, Utilis, won the WEFTEC 2017 Croc Tank, a tech pitch session sponsored and hosted by Imagine H20, in which 6 companies participated. Finally, Isle hosted a US nationwide TAG Member Meet and Greet, in which nearly every one of our seven regions was represented. We enjoy connecting our members with one another so they can continue to identify the technologies and practices that will support their critical missions. Isle, in partnership with WaterStart, hosted the second annual Channels for Innovation Summit in Las Vegas, Nevada, on October 6. The event hosted panel discussions on adopting innovation, funding challenges and success stories, and successful out-of-the-box partnerships to support technology commercialization. A Technology Speed Dating Session featured several solution providers who were able to pitch their technologies to a variety of stakeholders and water management agencies. CFIS 2017 was well-attended by a diverse audience of end users, technology developers, state regulators, and industry influencers. Please check the website in the coming weeks for a 2017 recap and photos! Innovative companies sharing their case studies at the #CFIS2017 technology showcase. Keen to join an Isle event in the US? On Nov. 6th, the SWAN North American Alliance will hold its second Annual Utility Workshop in Chicago in collaboration with the Alliance for Water Efficiency, Current, and Global Water Works. Isle is excited to be speaking at this event, which will be hosted by Uptake and will feature an interactive exploration of innovative, digital solutions to North American water infrastructure challenges, with a special focus on the Midwest region. An evening reception will be hosted by Sensus. Make sure to reserve your spot today! Register here.